There is always something new happening on the planet. Keep up with what is coming up this month and what you may have missed last month. Check out our selection of books for all kinds of ministry related books at our amazon store. You can help support the ministry of avisualplanet.com and the building of Exnihilo by going here first before you buy at amazon.com. 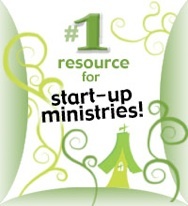 Online Bible aids, teaching tools, devotionals and other helpful resources. A site to frustrate, educate and motivate the church to communicate with clarity, the truth of Jesus Christ. “The intersection of faith and life.” A huge site with a variety of issues addressed, including articles on homeschooling, and movie reviews. Fostering church innovations and growth through strategies, programs, tools and resources to identify, connect and help high-capacity Christian leaders multiply their impact. We list a few of our favorite online tools here as well as other resources that may be helpful. A site for tech volunteers written by tech volunteers and those that lead them. A tutorial video cast that covers a variety of design issues. Worth a look for the free downloads alone! A source for communion supplies, candles, furniture and other religious necessities for the service. A family owned business for 40 years. Baptismal supplies, candles, clergy clothing and seasonal items.